Roanoke’s prospective nurses can pursue one of three major nursing roles. All nursing roles will experience faster-than-average employment growth over the coming decade. However, there are important differences in job scope, education requirements, and compensation. Certified nursing assistant is the most junior nursing role. To become a CNA, students must complete a brief certificate program and sit for a state-administered examination to obtain licensure. CNAs in Roanoke, Virginia, earn roughly $22,500 per year. Licensed practical nurses assist patients with everyday tasks. They work under the supervision of more senior registered nurses. Virginia’s aspiring LPNs typically complete a 12- to 18-month certificate program before taking the NCLEX-PN licensure exam. Roanoke’s LPNs earn a median annual salary of $39,300. Registered nurses form the majority of the nursing industry. In the Roanoke metro area, there are over 4,000 RNs currently employed. They carry significant independent responsibilities like administering medication and coordinating patient care schedules. The most popular RN education pathways are the associate’s degree in nursing (ADN) and bachelor of science in nursing (BSN). Candidates in either program must pass the NCLEX-RN licensure exam at the conclusion of their studies. 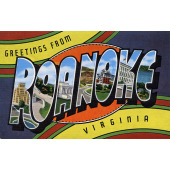 Roanoke’s RNs earn an average salary of roughly $57,000 per year. Regardless of role, Roanoke’s nurses are in high demand. Carilion Clinic and Lewis-Gale Medical Center are just two of the major local healthcare employers seeking to hire new nurses. To help Roanoke’s prospective nurses launch their careers, we have compiled below a complete list of the city’s accredited nursing schools and programs.